Beauty and the Bestie is a 2015 Filipino action comedy film directed by Wenn V. Deramas, starring Vice Ganda, Coco Martin, James Reid, and Nadine Lustre. It is an official entry to the 2015 Metro Manila Film Festival. 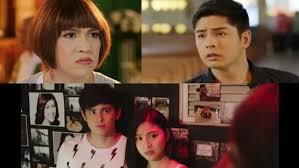 It was produced by ABS-CBN Film Productions and VIVA Films and was released nationwide under the banner of Star Cinema. It was also released overseas in cities that has significant Filipino population. It is the third highest-grossing Filipino film of all time next to The Super Parental Guardians. This is Wenn V. Deramas' last film before his death on 29 February 2016. The film's title is a play on the 1740 French novel by Gabrielle-Suzanne Barbot de Villeneuve.